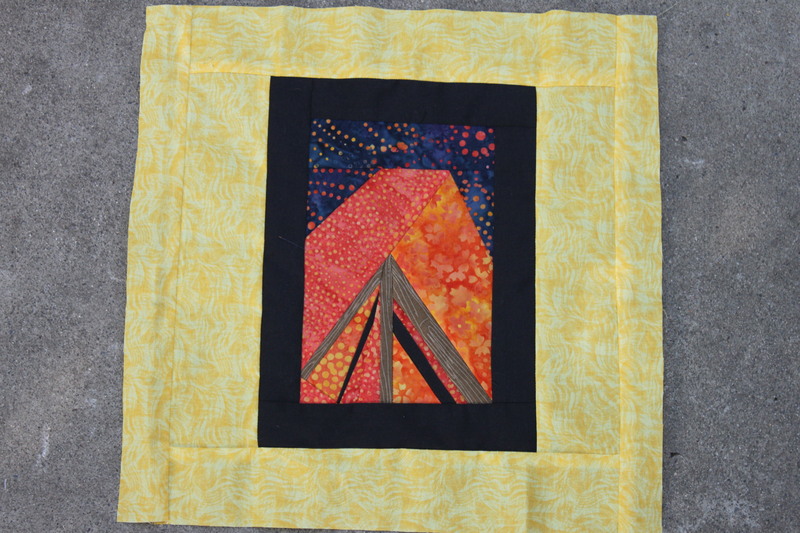 For May’s block, Evelyn asked for any blocks that might go with a cabin in the woods theme. 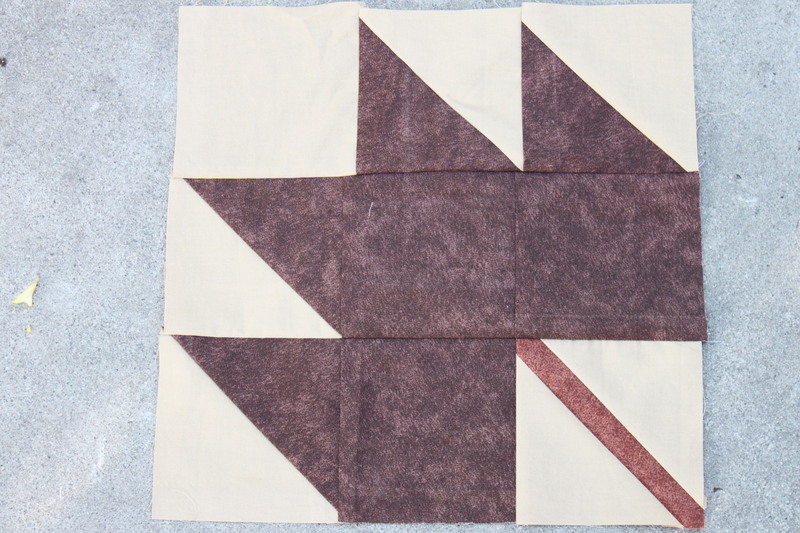 She didn’t mind traditional or free-pieced blocks. I decided to try to make her a campfire with some awesome fabric scraps I found in my local quiltshop’s scrap bucket. It didn’t turn out quite how I envisioned. It turns out, fire is HARD. I sent her a pic of it, and she said she liked it, but just in case it clashes with the rest of the blocks she will receive, I made her a maple leaf too. 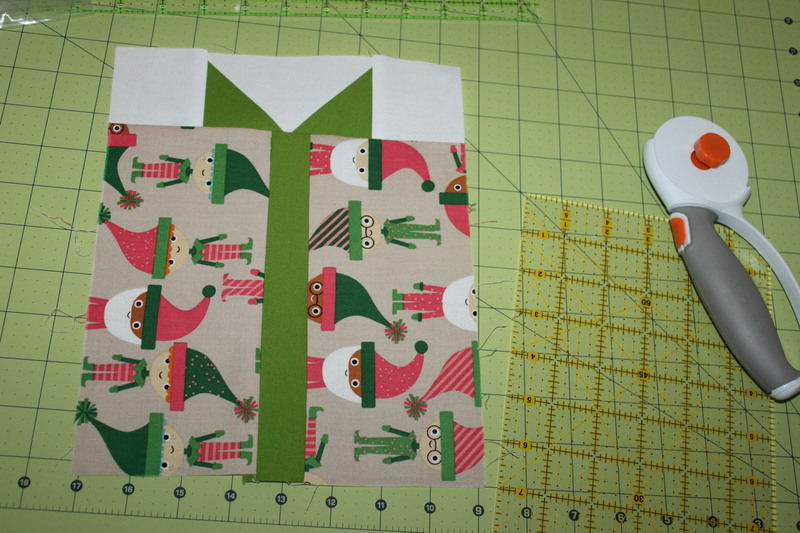 Then, because I found some really cute Christmas elves fabric, I made another present block to send along to Lisa (Evelyn’s daughter). I couldn’t resist. I was able to mail them all in the same envelope which made it easy.